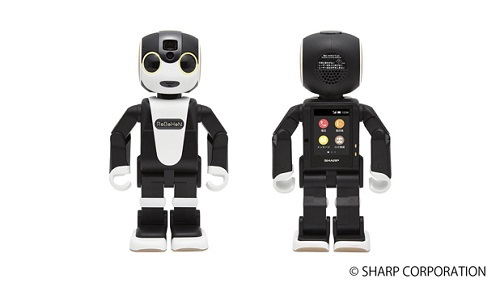 Japanese electronics company sharp released a new robot mobile phone with humanoid like robotics features. The robe phone can walk on two legs and is also portable. This robot phone developed in collaboration with Tomotaka Takahashi, Project Associate Professor at the University of Tokyo's Research Center for Advanced Science and Technology and CEO of robot development company Robo Garage Co., Ltd.